On Wednesday, September 15, 2010, the Safe Schools/Healthy Students Mentoring Initiative had a terrific turnout during the Mentor/Mentee Kick-Off Breakfast. The football themed event was held at the Bleckley County Middle School Lunchroom with many parents, mentors, mentees, principals vice-principals, counselors and staff in attendance. Over the past two years the school-based mentoring program has had many outstanding adults from our community come forward and give of their time and talent. Some of our matches have had to change, just as some players change on a team. However, the initiative is still going strong with over 20 matches in place and more adults coming forward to be trained and matched. 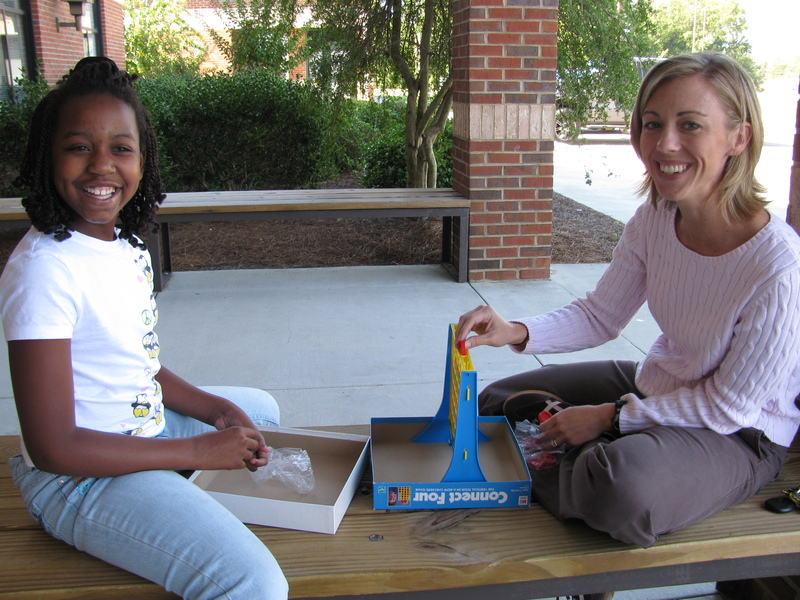 The benefits of mentored students can be measured by better behavior at school and increased grades, but the close bonds of friendship formed between both student and adult are the most rewarding. Several mentors have followed their mentee to high school, this is quite a testimony to the program’s importance to all involved. To become a mentor you can contact Gretchen Wilson-Tuck, Bleckley County Family Outreach Coordinator at (478) 934-4300. What does a retired football coach from thirty plus years of service to the Bleckley County School system do with some of his free time? He takes time to mentor! Coach Jimmy Kilpatrick is giving back and in a big way. Once a week he can be found in the old high school lunchroom playing games, laughing and most importantly…listening. 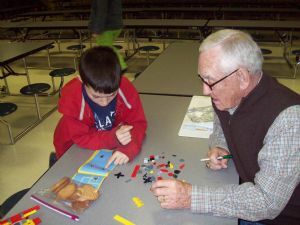 When asked why he decided to join the Communities In Schools, Inc. and Family Connection Mentoring program he simply stated, “Well, I have three grandsons of my own and I thought to myself…..I can meet once a week and be a friend to a child. I can do that!” His dedication to his profession is reflected in his mentoring. Mr. Kilpatrick is present in every sense of the word. He says the most rewarding experience he has had with his mentee is just getting to sit and listen to this little boy talk. He explained how easy the bond formed between them and how he has become like a part of his family even though they only get to mentor at school. Mr. Kilpatrick had a few concerns about becoming a mentor in regards to his past experience of mainly teaching and coaching older students. He wondered if he could really communicate with a 3-5th grader. Those fears have been put to rest as this “team” is a real success story! We are grateful to Mr. Kilpatrick for his dedication to mentoring and to all our mentors. We still need many more mentors, especially males, as referrals come in almost daily. Please consider this something you can do for your community. If you are interested, contact the CIS/FC Mentoring Program at 478-934-4300. 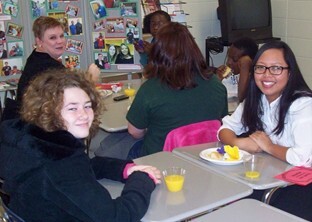 On January 14, 2010, a breakfast was held for new mentors to meet with their mentees’ parents/guardians. An update of Mentoring 2010 was discussed as well as an overview of FAST Training. We had 20 mentors, 13 mentees and 7 parents to attend. It was a great celebration and potential mentor applications were distributed. Mentoring is still alive and growing! Brandi and her mentee enjoy coloring, painting, playing on the computer and playing board games. She says that she learned patience and knows it doesn’t matter what you bring to your mentee just as long as you are committed and bring yourself! The CIS/FC Mentoring Program is entering its second year and our list of mentors has grown to thirty-five! These wonderful and caring volunteers are making a huge impact on the children of Bleckley County. Our motto is “Reaching a Dream….One Child at a Time.” It is with this one on one experience that lives are connected and the friendships formed are deep and long lasting. Our greatest need going into our new school year is that of male mentors. We have over 20 young males that have no mentors and it is so difficult to find adult males to step up and see how valuable they would be to the program. The commitment level, after initial training, is 45 minutes once a week. If you are interested in mentoring a child or would like more information about the program, call Gretchen Wilson-Tuck, CIS/FC Mentoring Coordinator at 934-4300 or email at gtuck@bleckley.k12.ga.us. Contact your child’s homeroom teacher if you are interested in having your child mentored this school year. 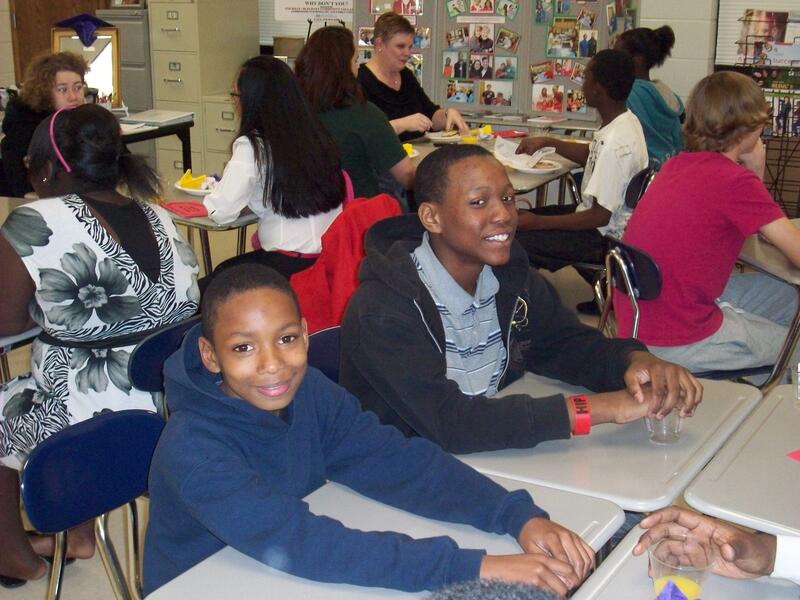 In addition to the services provided by the Federal Mentoring Project, the Cochran-Bleckley Community Collaborative includes Communities in Schools, Family Connection, Drug Free Community Support, Congressional Course Recovery and Remedial Project, 21st Century After School Program and the Safe Schools/Healthy Students Initiative.